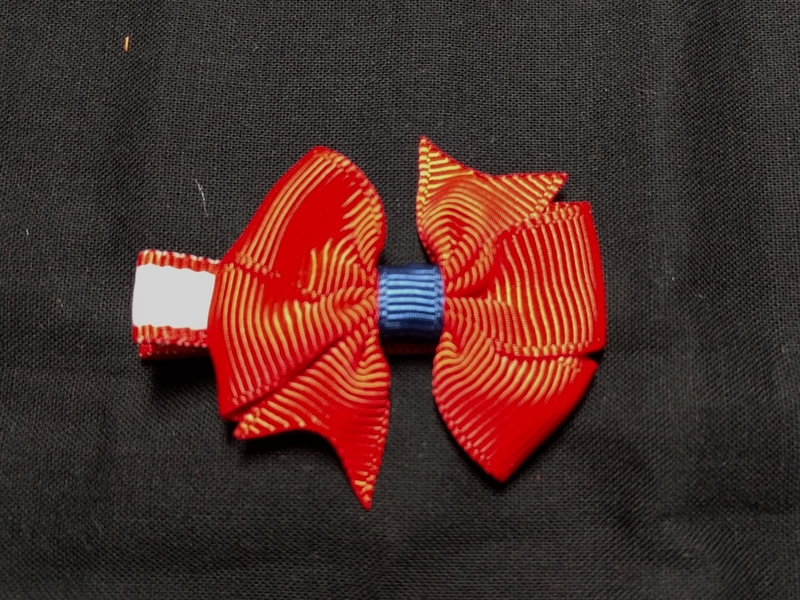 After making boutique bow, it measured 3″ from corner to corner. So to measure the spikes I added 1″ and cut them at 4″. However, these spikes ended up a bit too short and didn’t stick out under the bow at all. 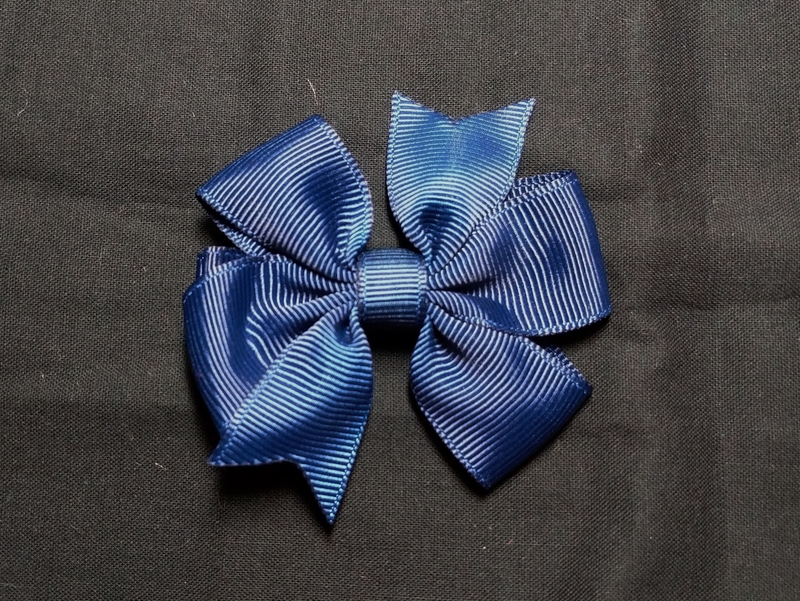 I would try measuring spikes to be 1.5″ longer than longest length of the boutique bow. Time to Complete: 20 minutes? Cut material into flower petal shapes using a template or free cut rounded edges, approx 5 petal bumps on each. Roll material between palms to tatter and great edges. Open petals and fold in half, then quarter. Place glue on inside of quartered petal, but not too close to what will be the middle. Snip corner of each petal. Overlap and glue petals together, slightly overlapping previous one. Glue blue layer of petals on top of white layer of petals. Using a 1″ hole cutter, cut out the photo. Place epoxy dot on top of photo. Glue 1″ felt circle on back of flower. 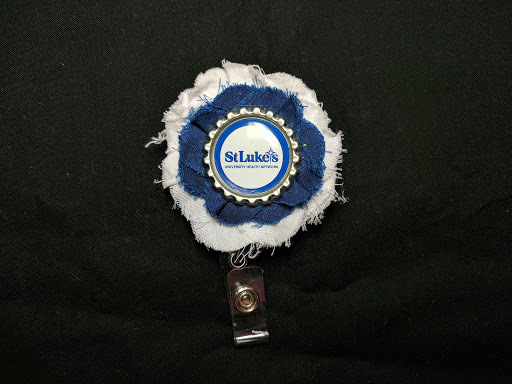 Glue 1″ felt circle to back of bottle cap. Glue bottle cap to bow. 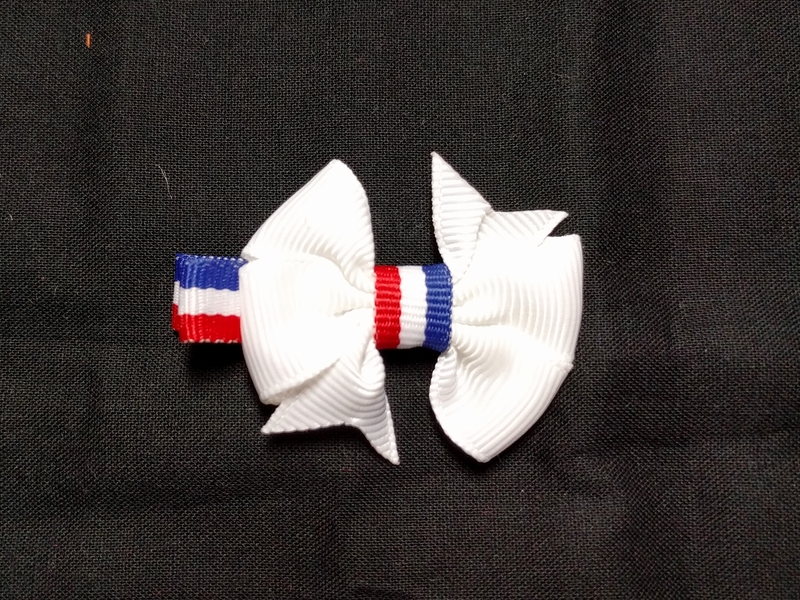 Glue bow to badge pull. For a 5 loop snail shell, begin inside and end outside with same color, usually the darker color. Have at least 3 inches extra of that color. To start, glue top of outside piece facing down or inside against the other piece. 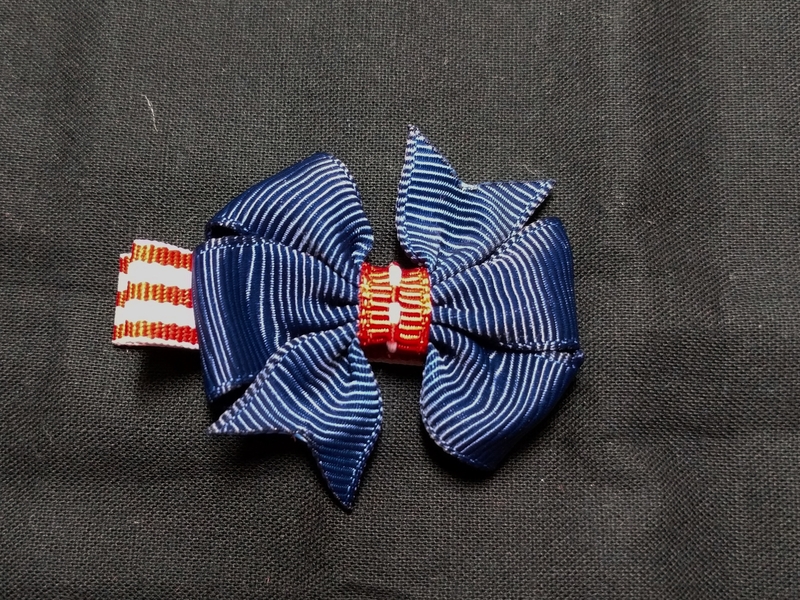 I followed my purchased instructions for Turtle Ribbon Sculpture by Ella Bella Bows for military braid. Make on hair clip, magnet, pin or ornament for tree. 10/9/16: Tried again with the shiny 1/4″ satin and measurements were perfect. 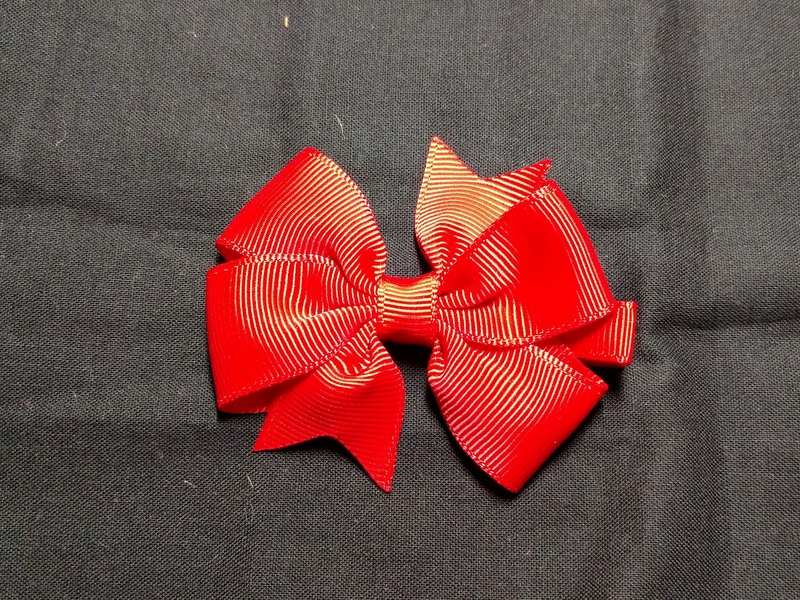 Also used 6mm lighter red jewels and 4 1/2″ of the red polka dot ribbon for both the clip liner and bow.